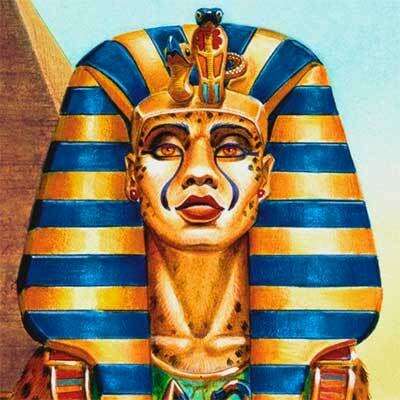 Half woman half cheetah Sphinx with golden eyes. This original art measures 15.5 x 12.5 inches. It measures 22.875 x 18.875 framed. The Golden Eyed Cheetah Sphinx measures 22.875 x 18.875 inches with the frame. The image area is 15.5 x 12.5 inches. 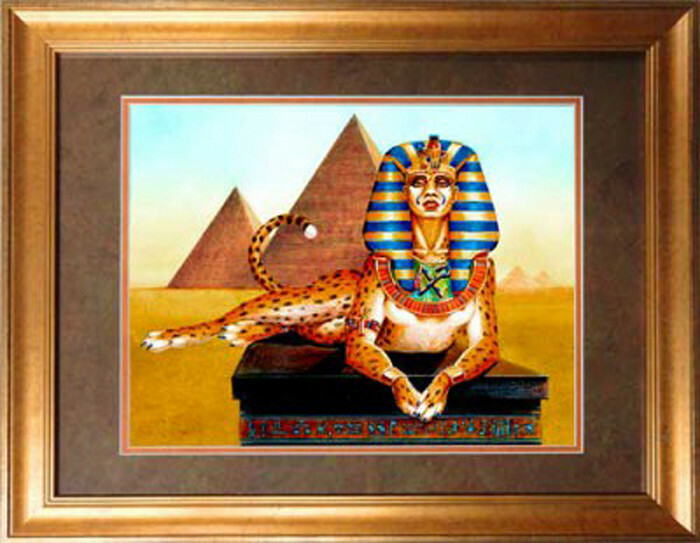 I wanted a different kind of Sphinx so I opted for a cheetah rather than a lion. 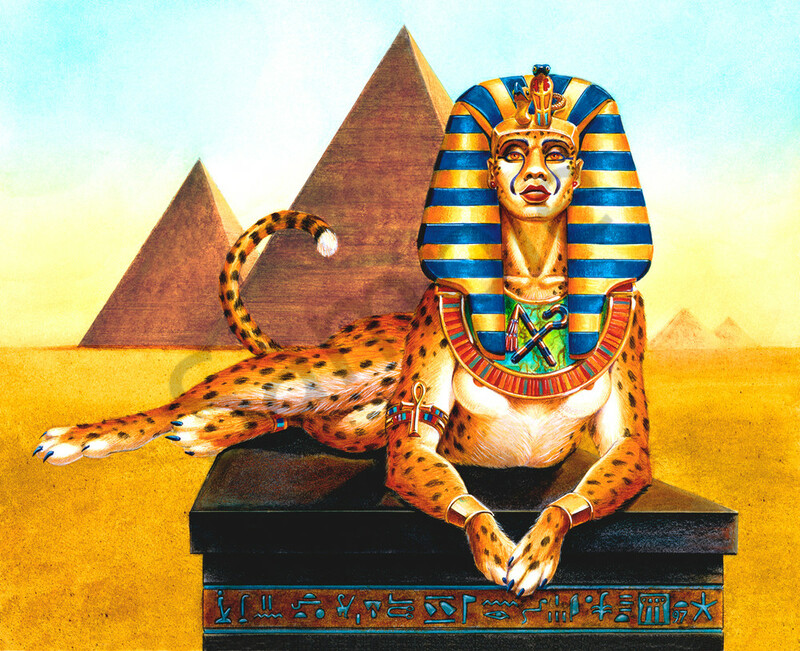 This cheetah sphinx was printed in a calendar published by Kabouter Press. 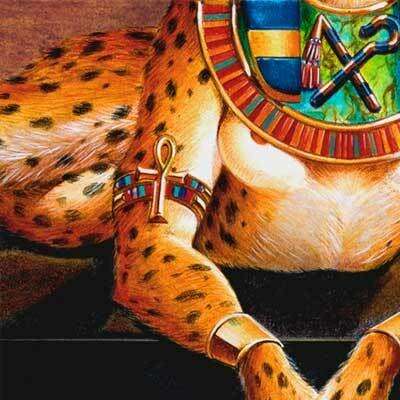 I designed all the art for so that it could be removed and framed in a standard 11 x14 inch frame when the year was over. The original art measures 15.5 x 12.5 inches, done in Dr. Martins dyes and Berol Prismacolor Pencils.